Green is the colour of my new tshirt. I dropped by the Den at 23 for lunch on Sunday. Because eating is essential and fun. Also the food is excellent. While I was there I collected my Den Destroyer tshirt and am proudly displaying my ability to eat! Just what is the Den Destroyer Challenge? Back at the start of November I took up a challenge. I attempted to eat the Den Destroyer burger in less than 30 minutes. This massive vegan burger included multiple burgers, hash browns, onion rings, vegan cheeses and deli meats and gerkins. It also came with a side of fries. This was a massive plateful of food. The mightiness of this delight will never be forgotten now that immortality on a tshirt has been achieved. Did I mention it was delicious? 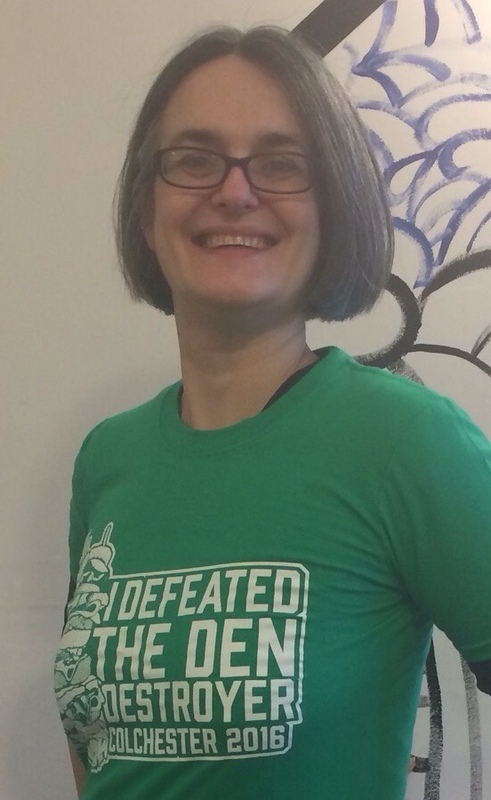 Knowing my passion for all things green, Jen and Rob at The Den at 23 got me a challenge tshirt in my favourite hue.